If you are looking for reputable garage door repair in Katy, look no further than Action Garage Door. When you need garage door service, we understand that you need someone fast who can do the job right. For over 30 years we have been helping Katy residents with garage door repairs, installation, and regular maintenance. When it comes to customer satisfaction, we aim to exceed all expectations. 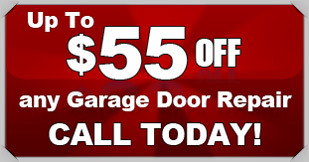 We only hire the most experienced and knowledgeable garage door technicians who diagnose and fix any garage door issue. Even in the crazy Katy weather conditions, our doors keep looking like new. We always take care of your permit compliance and conform to all local codes. The experienced professionals at Action Garage Door understand that garage door service goes way beyond just your door. There are many components to proper garage door operation and therefore complex reasons for malfunction. We can diagnose any problem such as spring issues, malfunctioning rollers, or just perform annual maintenance to ensure that your garage door stays functional. We offer a large variety of garage doors to choose from for your Katy home or business. We can even build a custom door to your specifications. There are really infinite combinations, so there is a door to fit any residential or commercial property. Give us a call and we can help you pick the right one for you. Living in Katy, Texas, puts residents in the heart of one of the most vibrant metropolitan areas in the country. Because of the automobile “rules” in Texas, Action Garage Repair stands ready to assist residents with minor adjustments or major problems that might occur. 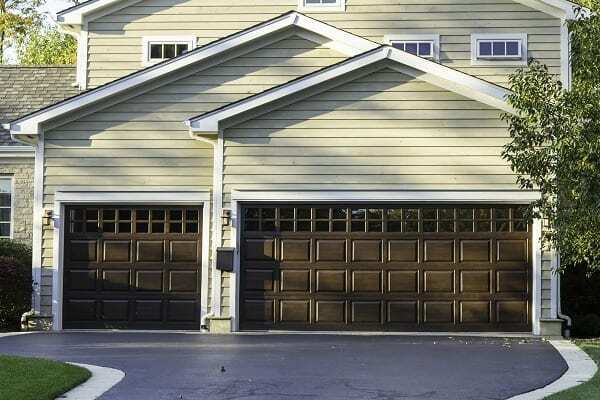 We know that it’s important to have a garage door that operates quietly and efficiently so that you can hop in your car and go wherever and whenever you please. With locations throughout Texas to serve residents in major cities and their suburbs, our fully-trained service technicians are able to respond quickly to emergencies, or to schedule routine maintenance and needed repairs at your convenience. We are at your beck and call, whether you ask us to install a brand new door, replace a damaged panel, adjust a rail or cable, or realign the safety sensors. With more than 30 years of experience at satisfying the needs of Texas customers, we pride ourselves on our service and our low, competitive pricing. Our credo is that we will exceed your expectations in every way, and every member of our team is committed to our brand of service. We are qualified to service all brands of garage doors and openers, and we deal only with reputable manufacturers; our labor and materials are guaranteed. The city of Katy, with an estimated 2015 population of just over 16,000, is one of the smaller but better known residential communities in the greater Houston area. It was originally known as Cane Island because of the abundance of cane adjacent to the creek that ran through the area. 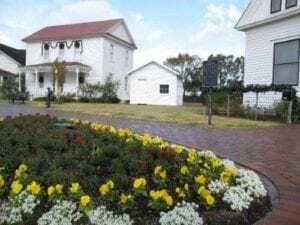 The cane was presumably planted to aid area fur trappers, and this little “island” in the Bayou has become a sought-after suburb in the midst of urban sprawl. It offers residents a sweet lifestyle! The current municipality was incorporated in 1945, and much of the land area surrounding Katy remains an unincorporated territory of Harris County under City of Houston jurisdiction. 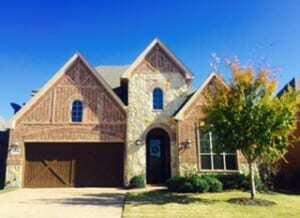 Katy is a moderately affluent residential community, with a median value of listed property at approximately $365,000. The square foot value of homes in Katy is higher than the Houston metro average: $121 compared to $113. 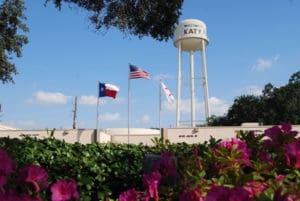 Katy is prized because of its small town ambiance, its good schools, and its convenient location, with high employment opportunity at firms located just beyond its boundaries in unincorporated county areas. Two of those corporate headquarters are Igloo Corporation, located in Waller County, and Academy Sports and Outdoors with offices in Harris County. The renowned Energy Corridor that extends along Interstate 10, also known as Katy Highway, includes BP America headquarters, and many other major employers. Katy’s location accounts for its continuing popularity, with virtually all the big employers in the oil and gas industry located within “a stone’s throw.” In addition, the Energy Corridor is served by two general aviation airports as well as by Houston METRO. The efficient Harris County transit authority transports riders to downtown and midtown Houston, with several connectors to other areas of the metropolitan area, including the international district. Still, most residents prefer private automobiles and, because Houston traffic can become snarled during high traffic hours. The Katy Independent School District enrolls more than 70,000 students and has a teaching and administrative staff that numbers over 9,000. Its broadly-based educational program is designed to serve the needs of a diverse school population, including a fairly high percentage of at-risk students. The district is proud of its teaching staff, about a quarter of whom hold advanced degrees, with more than 40% having at least 10 years of teaching experience. Some residents are served, however, by either the Houston Independent School District or Spring Branch schools. Other families choose to enroll children at one of the area’s private schools. 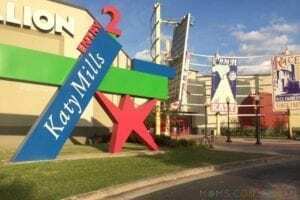 Katy’s close-in location with easily accessible shopping and dining destinations is an advantage. For fun and entertainment, Katy Mills is a climate controlled destination shopping experience with an AMC theater, abundant opportunity for family fun, many eateries and more than 175 retail shops. Nearby shopping can satisfy even the most determined shopper, and there are hundreds of entertainment centers and restaurants, but life in Katy itself is centered on home and family. The well-used and well-managed parks, playgrounds, recreation centers and ball fields are a testament to a more relaxed ambiance. There is a popular dog park, in addition to Harvest Plaza situated in the downtown historic area and a VFW pavilion, community hall and museum. Some of the parks and public areas suffered severe damage during the 2016 flooding, and repairs and restoration are still are ongoing. A restored Missouri-Kansas-Texas Railroad Depot serves as a “pocket park” and city information center, and the city’s Heritage Park hosts community events in an impressive bandshell as well as having a variety of restored buildings open for touring. Choosing a place to live in the greater Houston area can be a mind-boggling experience. But residents of Katy are quick to list their reasons for choosing this community. It all has to do with the perceived quality of “small town life” in the midst of a great big city! I'd like to compliment one up your service text, Richard, for the excellent service he provided me today. Several garage door companies have explained my problem. However, Richard's professionalism and ability to get to the bottom of the situation quickly exceeded my expectations. You have definitely gained a new customer who will refer all of my friends and families to Action Garage Door. Great friendly quick service. I had both springs & the spring bar replaced. Both springs were broken & the bar was bent. Everything works great & he left no mess. Action technician Kenny was on time and company was great about calling ahead to confirm. The repair was simple and I appreciated the honest work and good price to fix it. I will definitely call Action again and recommend to others. To get started with your garage door repair, installation, or replacement, contact Action Garage Door in Katy today and let’s talk about the options available from the garage door repair company that has been caring for customers since 1984.